Sorry for the delay but I’m finally back with more of the Paperie’s March Card Kit and today it’s all about the cards! 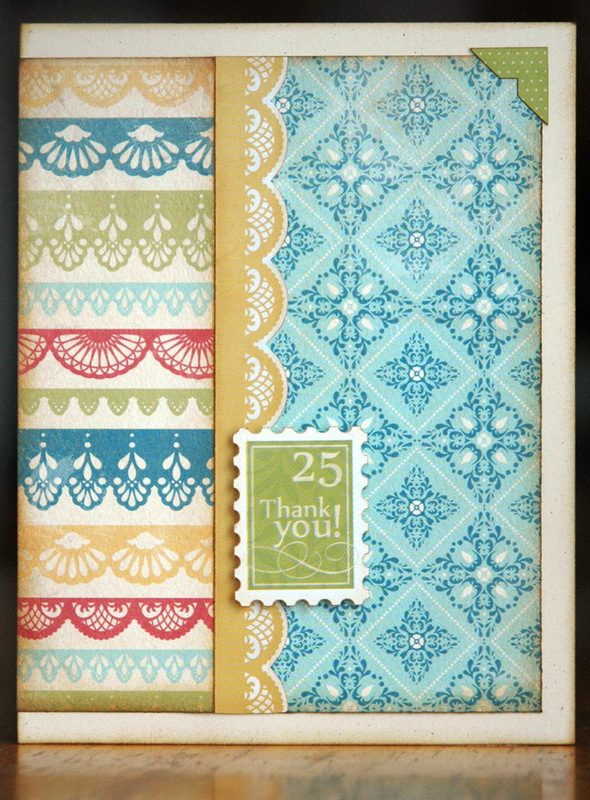 I don’t consider myself a card maker and generally I don’t make many of them but the Avery Elle stamp set that was included in the kit made me want to make some. 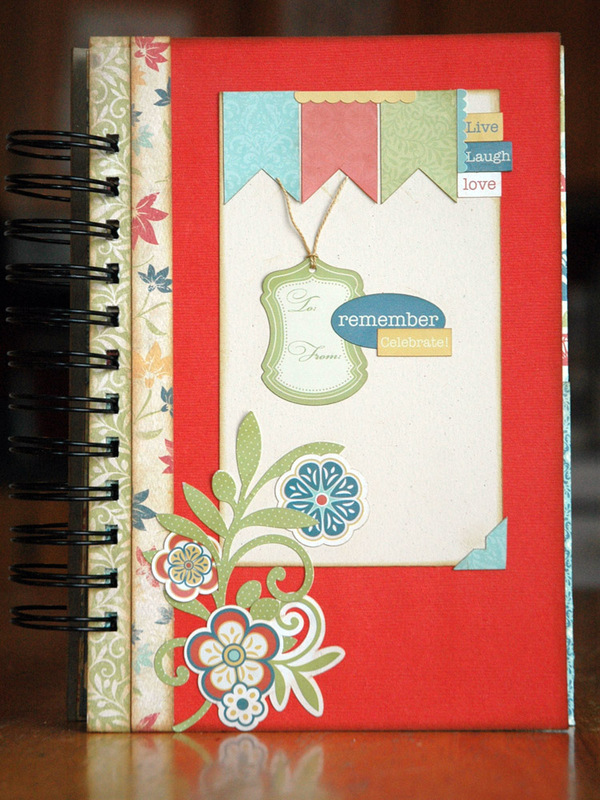 It’s a great way to use up scraps of patterned paper that you can’t bring yourself to throw out! To see the rest of the cards in the gift box, or to check out the layouts I made, you can go view my Paperie set at Flickr or head into the Paperie itself to see them all in person! Back tomorrow with the final project from the kit – my personal fave! Birthday Card on the fly! My kiddies had a party to go to this past Sunday and at the last minute I realized that I didn’t have a card made – of course! So I went looking through my stash and found…. nothing. Zip. Zilch. I was plum cleaned out. Of course. But, I found a couple of great card fronts I had made months, maybe years, ago and forgotten about. And there was a perfect one for a party. I stuck it to a premade base and called it good. For the life of me I can’t quite remember exactly how I made it but I believe it was Distress Ink pressed on a craft sheet, misted with Perfect Pearls (back before they made it in a mist form and we had to make our own – hard times!) and then the paper was swiped through the puddles. I think I was testing out the different colours of the powder and seeing how everything reacted. The background is super shimmery blue, which I couldn’t get a decent picture of, and the flowers are all punched circles from scrap pieces that have a variation of Distress colours and mist. All the stamps are from a Papertrey Ink set. I really like the end result so I’m thinking I may have to try it all out again and see what happens – at least I’ll have some cards ready for the next time I need them! 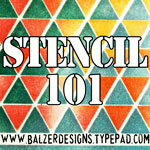 I have a new class this Saturday based on another of the Bazzill classes I took while I was in Orlando this past fall. I’ve changed up the paper – we’ll be using the Carta Bella Traditions line – and the size is very slightly different, but the concept is the same. 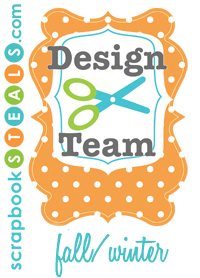 Plus, we’ll be making some cards to put inside and get you off on the right foot! 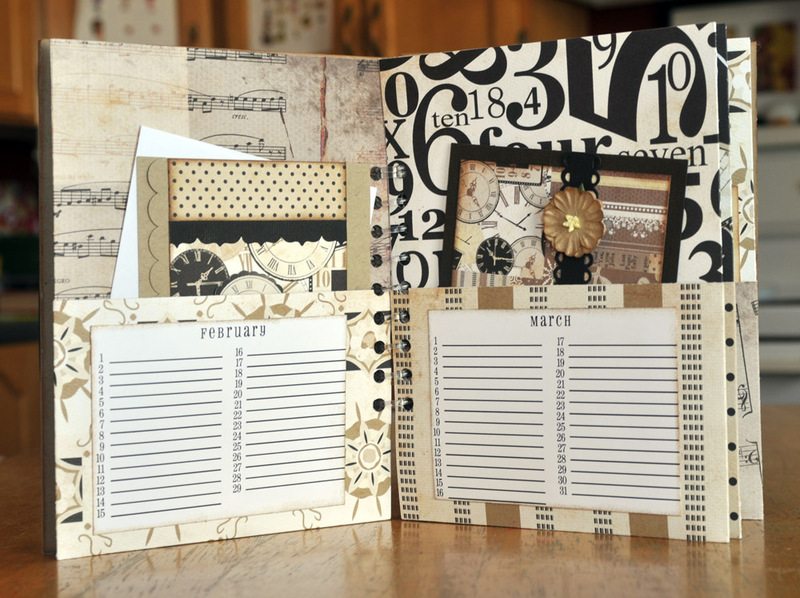 The whole point of this organizer is to make sure you remember all those birthdays, anniversaries, special occasions that recur yearly and require cards. 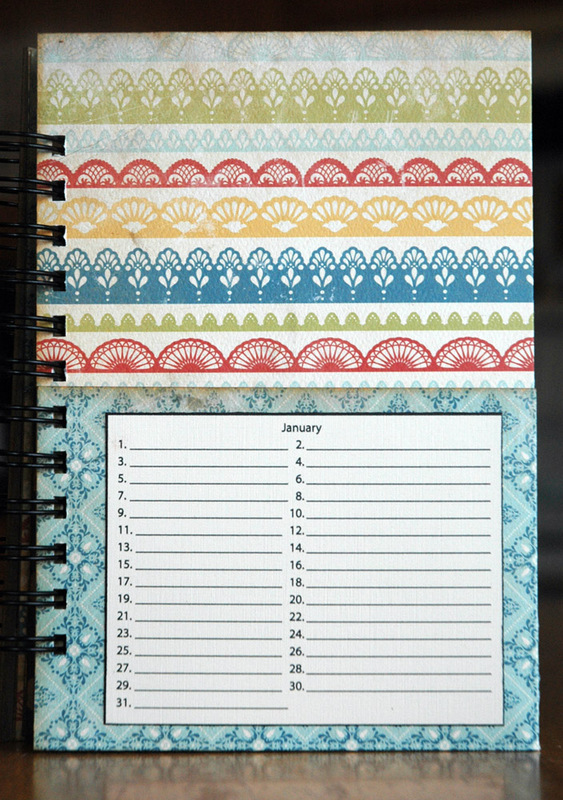 Every page has a calendar where can write in the events on the date they occurred, like a wedding, for example. Also, every page is folded so you have a pocket to store the cards you need for that month. And we’ll make 4 super simple, easy to replicate cards so you can go home with your stash already started and have some ideas to make more! Last I heard, there was only one spot left in the class so if you’re interested, give the Paperie a call to see if you can still get in – can’t wait to see some of you on Saturday, you know we’re going to have fun! 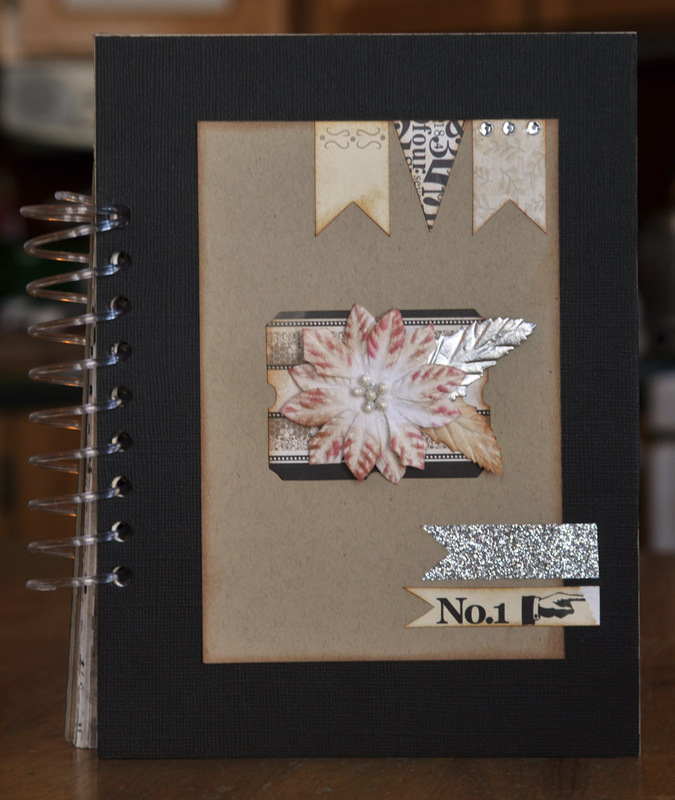 Everlasting Card Organizer – a new class! 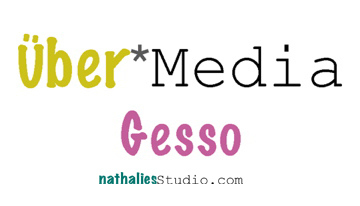 I have another new class coming up at The Paperie on February 9 and have been asked to post some pictures. Unfortunately, the papers for the project haven’t arrived yet so I can’t show you exactly what we’ll be making but I can show you the inspiration! This is another Orlando class, and another mini album from the daylong Bazzill class I took. When we presented all our projects in a sneak peek night at the store, all the customers loved this idea but wanted brighter colours, hence, the wait on papers! This will be the biggest change since we’ll have a brighter element sheet to work from with varied stickers. And what’s the fun of a new class if I don’t change it up a little? The size will be the same though, 6″x 8″ so not too big but large enough for your cards. 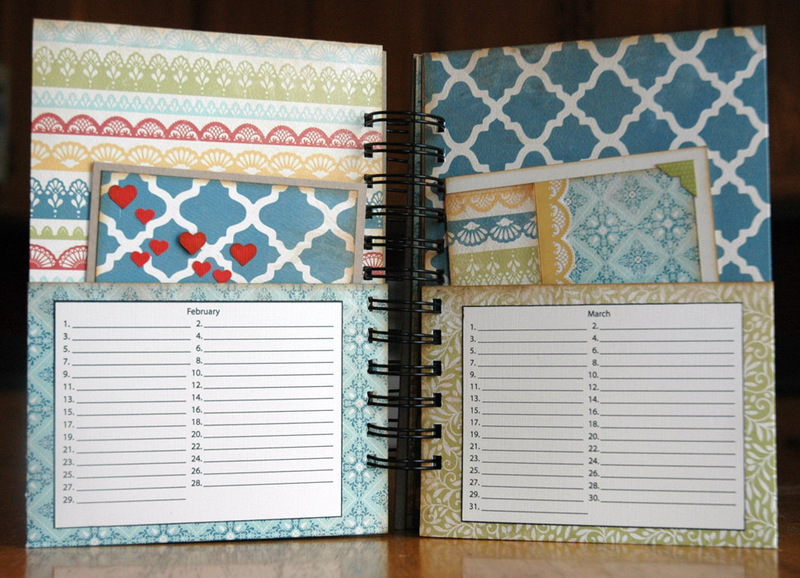 The inside will have 6 pocket pages with monthly calendars and lots of storage for the cards you’ll need over the year. 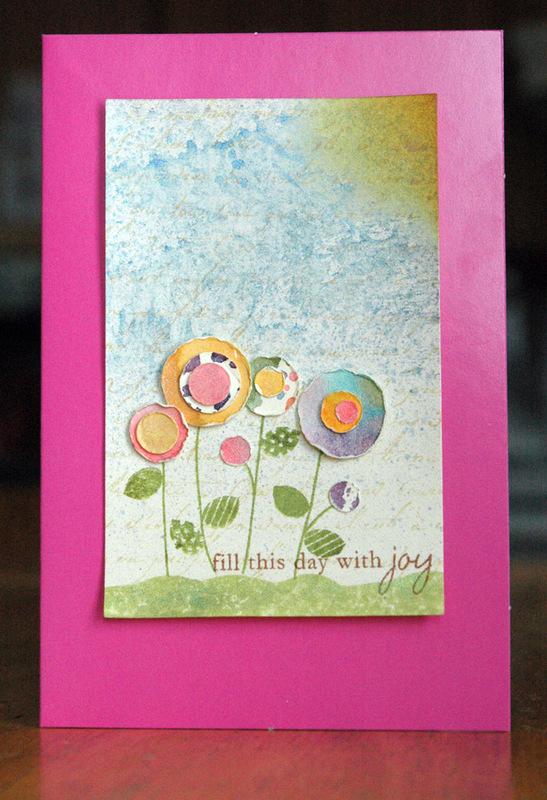 We’ll also be making 4 cards in this class to put in your book and start you off on the right track. All you need to do when you go home is write in your dates! There will be a limited number of spots in this class due to product availability so call The Paperie ASAP if you’re interested and hopefully, I’ll see you there!